For a limited time, the first application for new customers is FREE! From lawn, tree, and shrub care to turf management, we provide the services you need to maintain a beautiful lawn and healthy home. For the best practices for a healthy, beautiful lawn, get the scoop from the experts at King GREEN! From office buildings to sports turf, our flexible programs keep all types of commercial properties looking their best. Welcome to King GREEN, a lawn care company that has proudly been in operation since 1987. Our longevity is due largely to our team of dedicated experts, which includes a professional agronomist and many other career lawn care professionals. 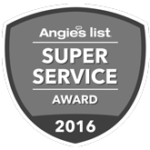 Simply put, we are among the best in the business when it comes to lawn care, weed control, lawn aeration, turf grass fertilizer, and more. Over the years, King GREEN has built a reputation for providing superior customer service. When you call us, an actual employee of our company will be there to answer the phone, whether you have a general lawn care question or a specific problem related to weed control, fertilizer, or lawn aeration. Any time of year, King GREEN can proactively manage all of your lawn care needs, giving you peace of mind that your home or business is being cared for by true professionals. King GREEN is an award-winning lawn care company that offers convenient pay-as-you-go or pre-paid programs that will keep your residential or commercial property beautiful and lush. We will treat your property at regular intervals throughout the year without requiring you to sign an annual contract, and if you are not completely satisfied with any of our services, we will re-treat the premises at no charge or refund your money. All of our services are backed by this King GREEN guarantee. 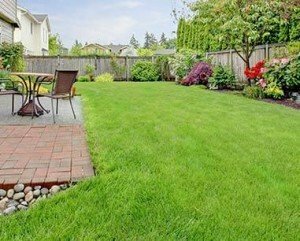 Hiring King GREEN means working with a company that can handle virtually any lawn care, tree and shrub care, or weed control issue that you are having. Our standard lawn service includes the application of grass fertilizer, pre- and post-emergent weed control, and limestone supplements. The types of grass that we treat are Bermuda, Zoysia, and Fescue, and we offer a variety of additional specialty services that include lawn aeration, lawn seeding, lawn renovation, and topdressing (for Bermuda and Zoysia only). Thanks to King GREEN’s tree and shrub care service, your trees and shrubbery can remain beautiful and disease-free throughout the year. To request a free estimate, contact King GREEN, is a lawn care company with decades of experience. No matter where you are in Atlanta or throughout North Georgia, chances are there is a King GREEN office near you. We have locations in Gainesville, Marietta, Norcross, Watkinsville/Athens, and McDonough.